Sign up for Broadjam today to follow Patrick E. Muth/Catnip Pat, and be notified when they upload new stuff or update their news! BEFORE THE WORLD STOPS SPINNIN! IF I DIDN'T HAVE YOU! DO YOU STILL LOVE MEE! GOTTA FIND ME A WOMAN! Do You Still Love Me ? GUY REALLY CANY BELIEVE THIS GIRL IS HIS! MY STORY/MY LIFE/ MY WIFE! This song is adorable. I could totally hear this playing in a movie, or even Disney production. I feel like it has total market potential. nice vocal tone. good movement. i like the accordion! IF I DIDNT HAVE YOU! BUT BEING WITH YOU---MAKES ---ME WANT TO! IT WOULDN'T BE TRUE, IF I, DIDNT HAVE YOU! UNTIL I HEARD YOU WHISPER, BABY I DO! IF I DIDNT HAVE YOU, ID SEARCH ALL DAY LONG! UNTIL I HAD YOU IN MY ARMS--THAT'S WHERE YOU BELONG! 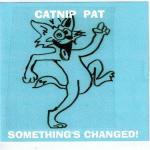 Thanks for supporting Patrick E. Muth/Catnip Pat! Would you like to help Patrick E. Muth/Catnip Pat get heard by industry pros by buying them a song submission credit to Broadjam Music Licensing Opportunities?